My clothes fit tighter! It was really tough trying to resist tasting everything. 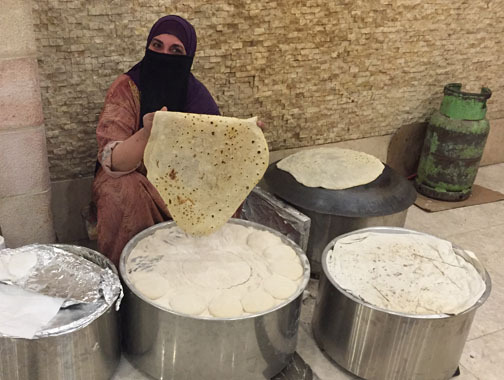 A typical meal began with multiple dishes of salads served family style accompanied with pita or other bread. 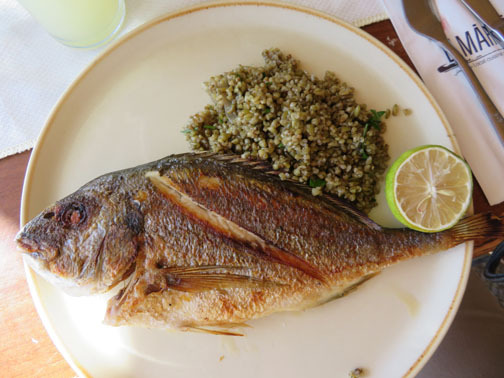 Then the main course of fish, lamb, or chicken, beef less frequently, served with either potatoes or rice. And large servings! Then a dessert. 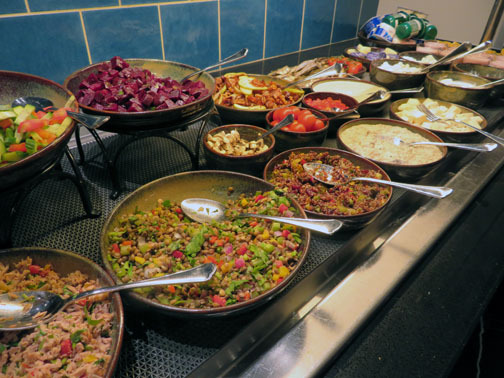 On a number of occasions, we ate at buffets with generous varieties of salads, main dishes, and desserts. All of our breakfasts were buffets. And all delicious! And hummus at every meal including breakfast! 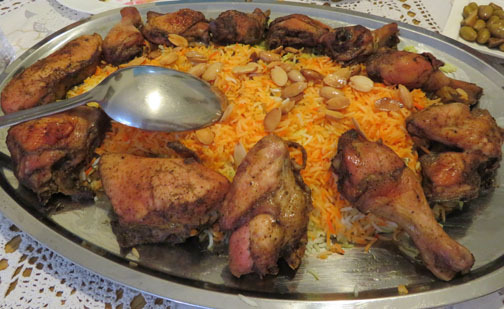 The food was a combination of Middle Eastern and Mediterranean. Here is an array of first course dishes. Enough food to make a meal just of the first course. 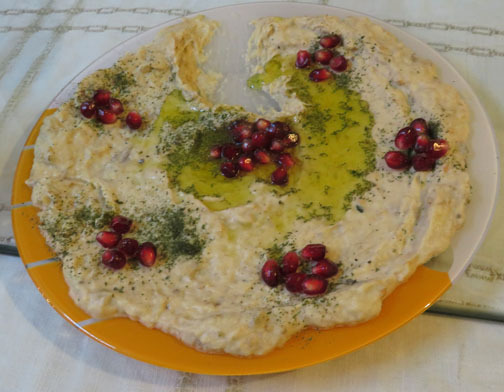 We had hummus in many variations. Because pomegranates were in season, they were used liberally in many preparations. 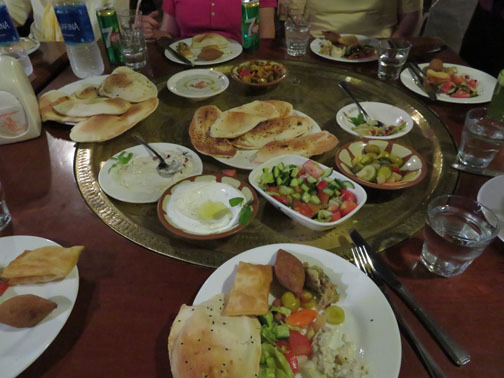 Our first meal in Jordan was at a famous falafel restaurant, famous because it was a favorite of the King of Jordan. The pita was freshly baked and we built our own sandwiches. This is part of a breakfast buffet. Salads of herbed veggies, slaws, rice, marinated veggies, hummus, and baba ganoush, etc. plus breads, eggs, fish, cereal, fruit, juices, and yogurt. 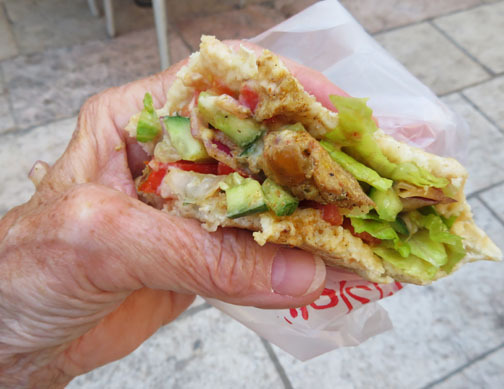 In Israel, the meals were usually Kosher, so there was no meat at breakfast. This is the meat roasting for shawerma, an Israeli version of a gyro. 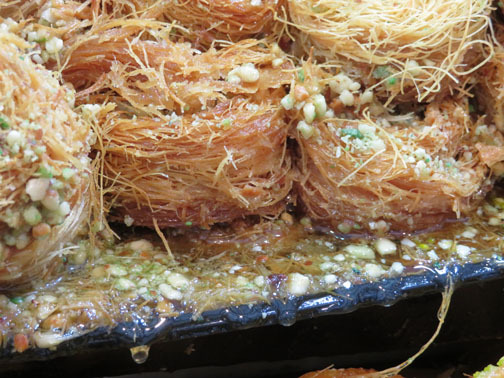 Desserts included a variety of Middle Eastern sweets, dripping in honey. 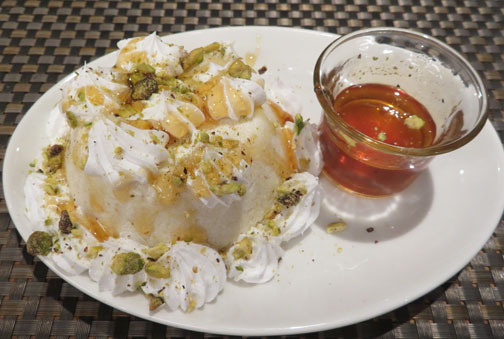 This was a semolina pudding with whipped cream, honey, and pistachios. 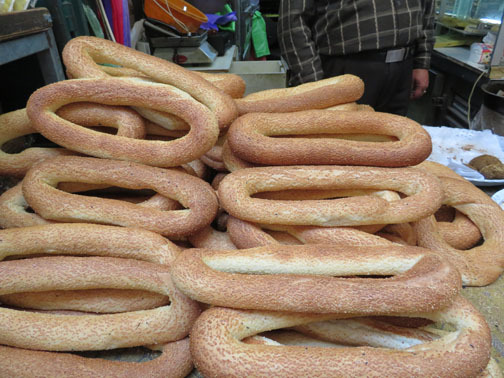 Besides pita, we had a thin, crisp flatbread, western style breads, croissants, and huge bagels. 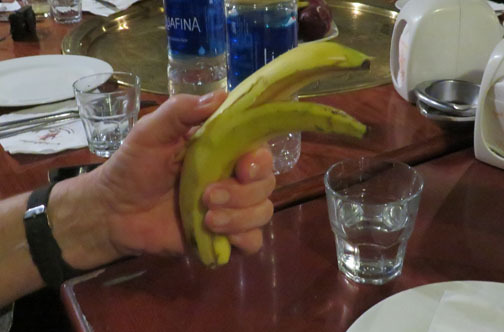 Betsey learned how to manipulate a banana so she can entertain her grand kids! In this photo, she is still wearing her $4.50 watch. It gave out on day 5. Next, some of the markets we visited. 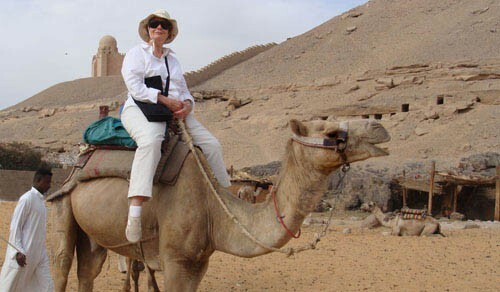 This entry was posted in Israel, Jordan on November 13, 2018 by JWH.